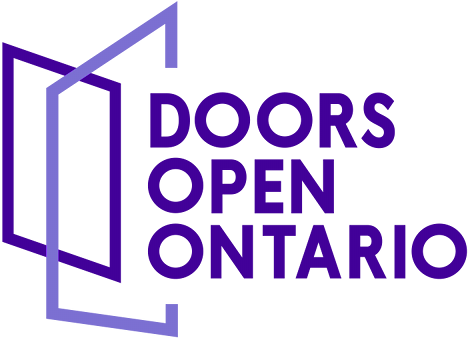 Doors Open Ontario is an ever-evolving program. After more than a decade, the needs and expectations continue to change. Even though the program continues to invite people to experience Ontario’s heritage buildings for free, the program itself costs money. And we need your assistance to keep the program growing. Your support enables us to carry out a range of programs and services, including Doors Open Ontario across the province. We invite you to join us and become part of the solution. The Trust raises more than 60 per cent of its own funding. Our work is supported in part by a government grant, but a growing portion of our income comes from our properties, program fees and the support of generous donors and sponsors. Your donation to the Ontario Heritage Trust will go directly to the preservation and renewal of our treasured spaces, artifacts and stories.